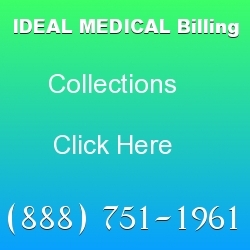 Ideal Billing Solutions assists mental health practices in the area of medical billing. We have a lot of experience dealing with ICD-10 coding and understand the process. 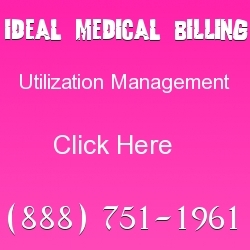 When you are looking for a medical billing service, it should be built on a solid reputation. At Ideal, we get wonderful feedback from our customers and would like to take you on as a client as well. Your Collections Need to Be Increased. We follow up on all claims. We increase your profitability. We make money when you make money. Our services help to increase your own physician services. You never have to worry about billing. We handle all of the software. Your practice gets a decrease in claim denials. Ideal Billing Solutions offers you a way to gain insight into your financial outlook. Prompt and immediate posting of payments. Weekly and monthly reports of your practice. A mental health clinic needs to worry less about their medical billing. It is best that you do what you have been trained in. We are trained expert in billing and coding. Our clients trust us to bring in more revenue and assist doctors with their questions. We answer questions such as: “When will I get paid? How long will this claim take to process? When can I expect to receive a check? Did you follow up on my claims?” The questions are often different and varies from customer to customer. You can be rest assured that your success is in your hands. We make sure that your claims on getting reimbursed to you. 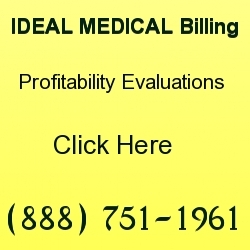 If you break it down, a medical billing service actually saves you money. 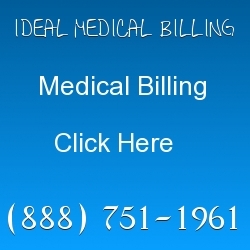 The overhead expenses for doing your medical billing in house can be enormous. You need to have certified ICD-10 coders, up to date software (it is always changing) and a team that works together. Proper billing for mental health practices takes time. It is a work in progress as we find each code that is appropriate. If you choose to work with us, you will begin to see how much your revenue is increasing. It is common for a physician to tell us that they are losing 25% to 35% of their revenue each year because their claims are getting denied. When you work with us, we don’t allow this to happen. You actually begin to see your profits increasing because you have Ideal Billing Solutions working on your claims full time. Many doctors today are afraid to outsource their billing for various reasons. One of the most common reasons is that you don’t trust the person that is doing your billing. We like to think of our team as part of your family. We are an extended part of your success. Once you begin to outsource your work, you will feel a sense of relief. You will begin to feel and knows that someone is looking out for you. We understand that your reputation is on the line and so is your profits. From our experience, outsourcing is the most profitable way for a medical practice to go. Whether you use our services or not, it is always best to outsource. When you add up the math, you simply save money every single time. It is clearly a no brainer situation. Your patients depend on you to do the best job for them. Unfortunately the biggest complaint from patients is that they don’t get to spend enough time with their doctor. The average patient spends less than 15 minutes with their physician. This is mainly due to the fact that so much paperwork has to be filled out for the patient and physicians simply don’t have the time. However, if we take care of your billing and other administrative tasks, you will find that you do have the time. How many days are you in accounts receivable? How many of your bills are now past due? Are you getting your claims denied multiple times? What is your patient liability? What is the first pass rate that you currently have? What is your denial rate? Once you have answered the above questions, you must ask yourself if you are satisfied. If you are not happy with the outcome, then it’s time to outsource. Every mental health practice needs good billing in order to keep it afloat. Far too many physicians are going bankrupt today and shutting down their practices because of incorrect billing. Call us today in order to learn more about a program that can work for you.